This two-in-one lip color and lip liner produces high-impact, lasting color with a luminous, shimmery finish. Soft, lightweight, buttery texture glides on smoothly and evenly without drying lips. Blends easily. Offers buildable shades. Put your own spin on it by pairing it with marykayatplay™ jelly lip gloss. Get high-impact, lasting color with a luminous, shimmery finish. This two-in-one lip color and lip liner is ultraconvenient and easy to use. The soft, lightweight, buttery texture glides on smoothly and evenly without drying lips. It blends easily and offers buildable shades. Put your own spin on it by pairing it with marykayatplay™ jelly lip gloss. 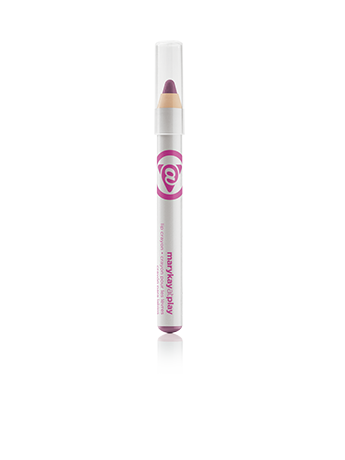 marykayatplay™ lip crayon is part of the marykayatplay™ color collection – fun, flirty, fabulous makeup for eyes and lips. Use with marykayatplay™ jelly lip gloss for a glamorous shine.